When you neglect your dental hygiene, you run the risk of eventually developing gum disease. Don’t let this happen to you! Gingivitis is the primary stage of gum disease where the bacteria in plaque build up to a point that causes the gums to become irritated and inflamed. With proper treatment and care, gingivitis can be reversed; however, when left untreated, gingivitis can progress into periodontitis. In mouths with periodontitis, the gums slowly pull apart from the tooth, creating pockets that can foster the collection and growth of bacteria. Over time, the bacteria eat away at your teeth and causing them to become loose, and potentially fall out. Periodontitis is not as easily reversed as gingivitis and often requires some form of surgery to correct. Several procedures have proven to be successful in treating gum disease. Flap surgery is a process that involves lifting the gums to remove plaque buildup from under the gums. Bone and tissue grafts can be used to help re-build the bone and gum tissue that was potentially lost due to periodontitis. Today, the preferred treatment for gum disease is often with lasers. 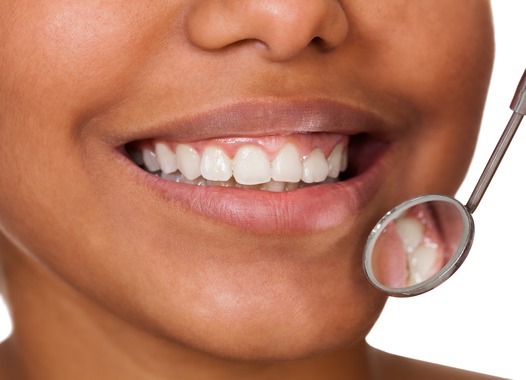 We’ve compiled a few of the benefits of laser treatment for gum disease. Minimally invasive – laser treatment for gum disease is minimally invasive and a safe alternative to traditional surgical procedures. Bonus: minimally invasive means less painful! This entry was posted in Periodontal Disease and tagged Gingivitis, Gum Disease, Laser Treatment for Gum Disease, Periodontitis. Bookmark the permalink. Follow any comments here with the RSS feed for this post. Both comments and trackbacks are currently closed.